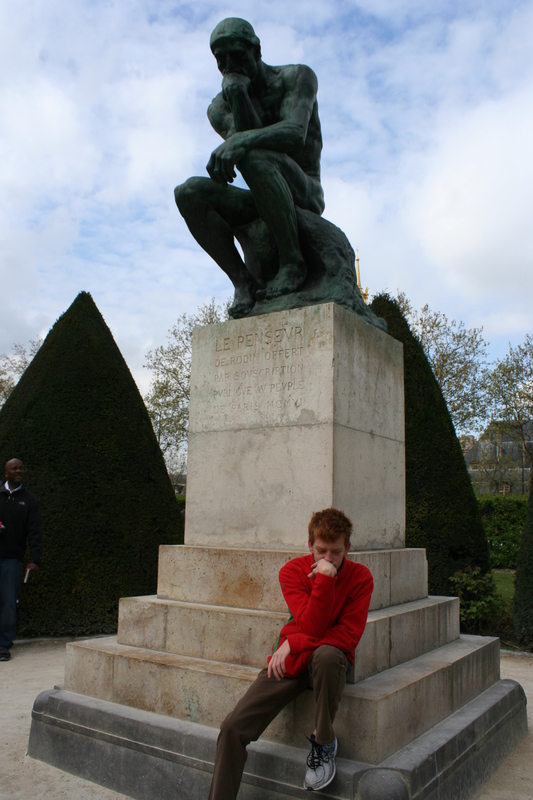 A visit to Paris is synonymous with the art of Rodin in my mind. 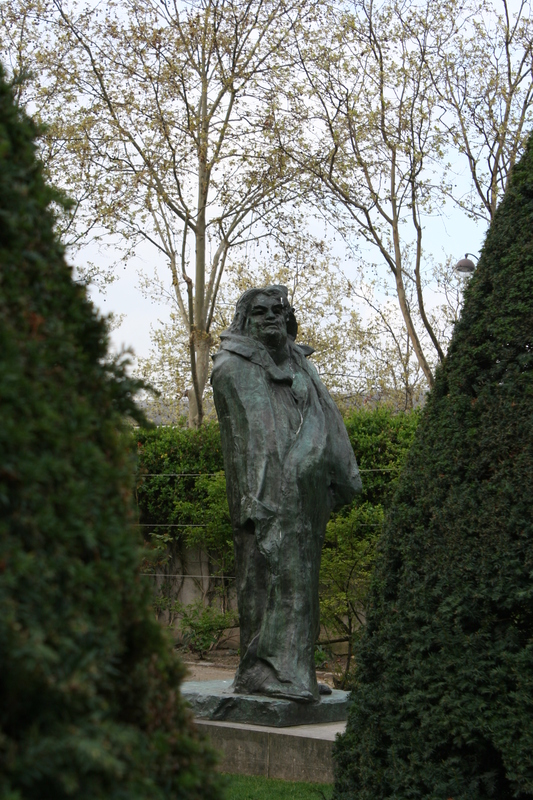 His art is one of my first art loves, and the first visit to the Rodin museum was an incredible experience. 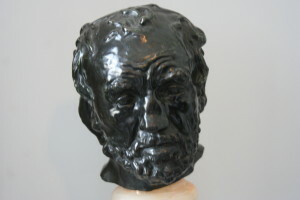 François-Auguste-René Rodin (12 November 1840 – 17 November 1917) was a French sculptor. Although Rodin is considered the father of modern sculpture, he did not set out to rebel against the past. He was schooled traditionally, took a craftsman-like approach to his work, and desired academic recognition. 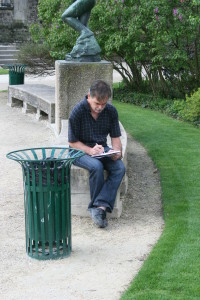 But he initially never received the acknowledgement from academic institutions of Paris. 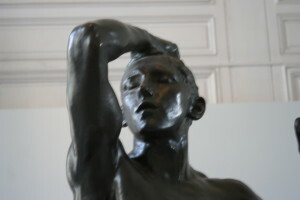 Sculpturally, Rodin possessed a unique ability to model a complex, turbulent, textured surface in clay. 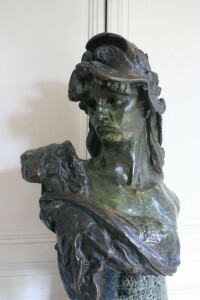 Many of his most notable sculptures were severely criticized during his lifetime, because they did not comply with the standards of the day. 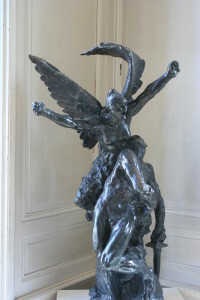 Sculpture then was decorative and formulaic and used to depict classical myths and themes. Rodin’s work departed from traditional themes of mythology. He used realistic depictions of the human body, (not idealistic godlike sculptures) each with its own individual character and physicality. 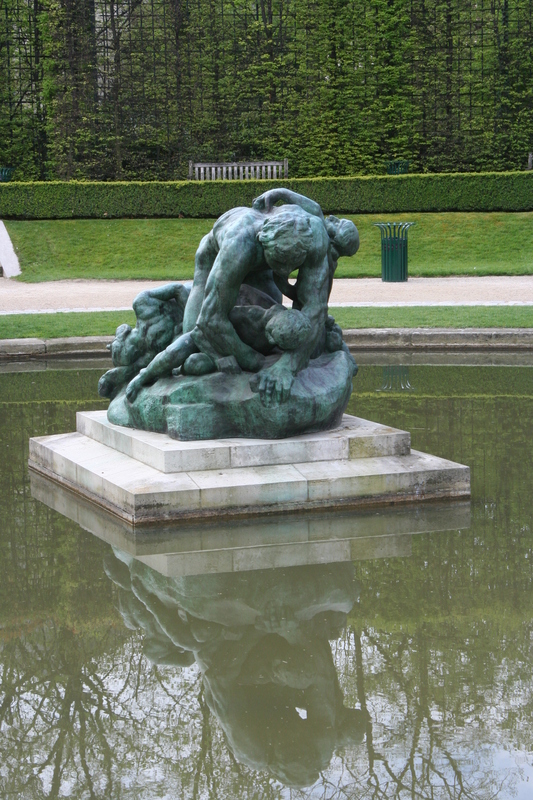 Rodin refused to change his style, even amidst the criticism. At times, his work was so realistic that he was accused of having taken a cast from a living model. 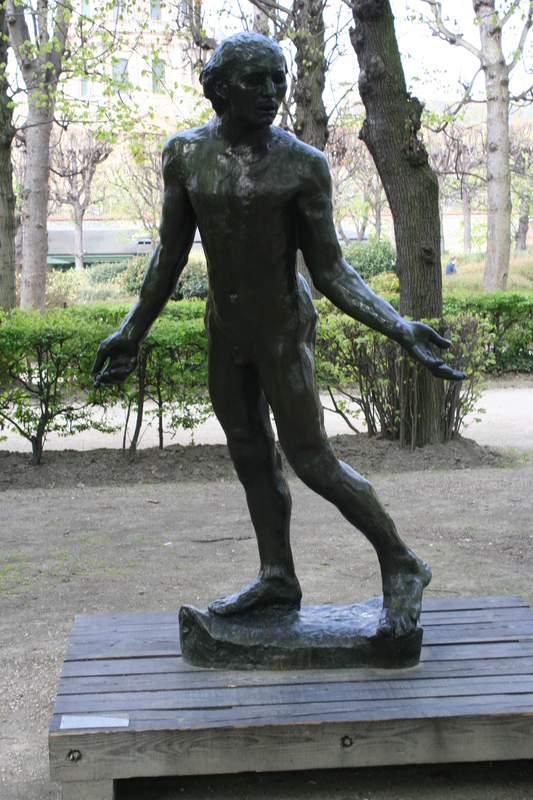 Rodin vigorously denied the charges, writing to newspapers and having photographs taken of the model to prove how the sculpture differed. 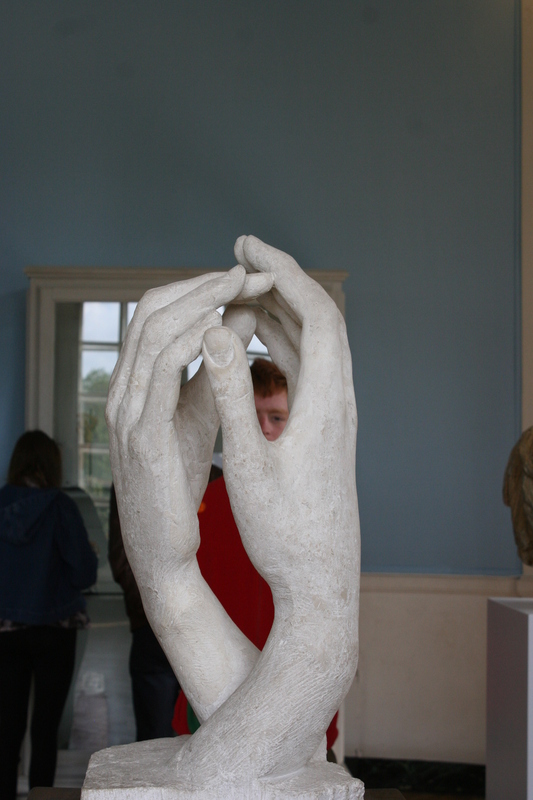 He demanded an inquiry and was eventually exonerated by a committee of sculptors. In time people came to accept and appreciate his work. Rodin had achieved a new degree of fame. Students sought him at his studio, praising his work and scorning the charges of surmoulage. The artistic community knew his name. 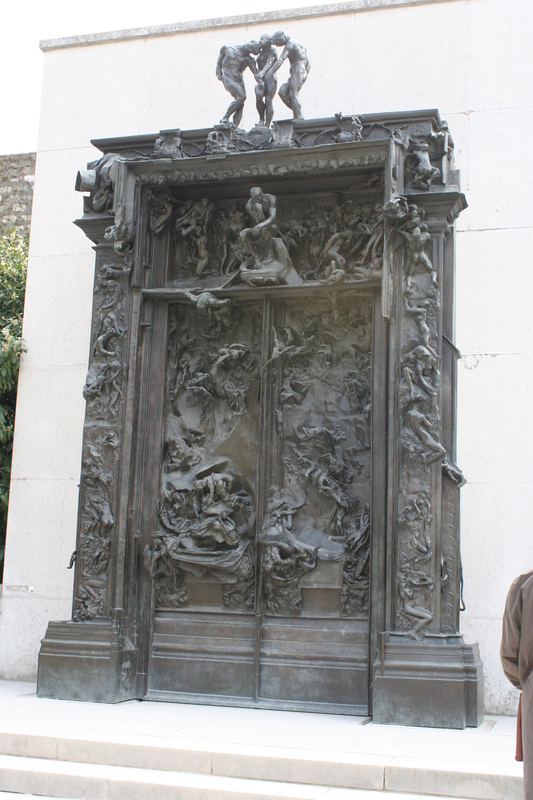 A commission to create a portal for Paris’ planned Museum of Decorative Arts was awarded to Rodin in 1880.He planned bronze doors in the style of gothic cathedral doors for the project . Althought the museum was never built, Rodin worked throughout his life on The Gates of Hell, a monumental sculptural group depicting scenes from Dante’s Inferno in high relief. He conceived The Gates with the surmoulage (copying real life figures) controversy still in mind: “…I had made the St. John to refute [the charges of casting from a model], but it only partially succeeded. To prove completely that I could model from life as well as other sculptors, I determined…to make the sculpture on the door of figures smaller than life.” Laws of composition gave way to the Gates’ disordered and untamed depiction of Hell. The figures and groups in this, Rodin’s meditation on the condition of man, are physically and morally isolated in their torment. 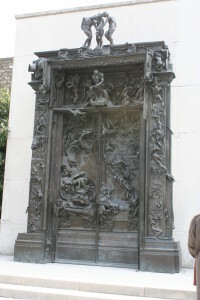 The Gates of Hell comprised 186 figures in its final form. 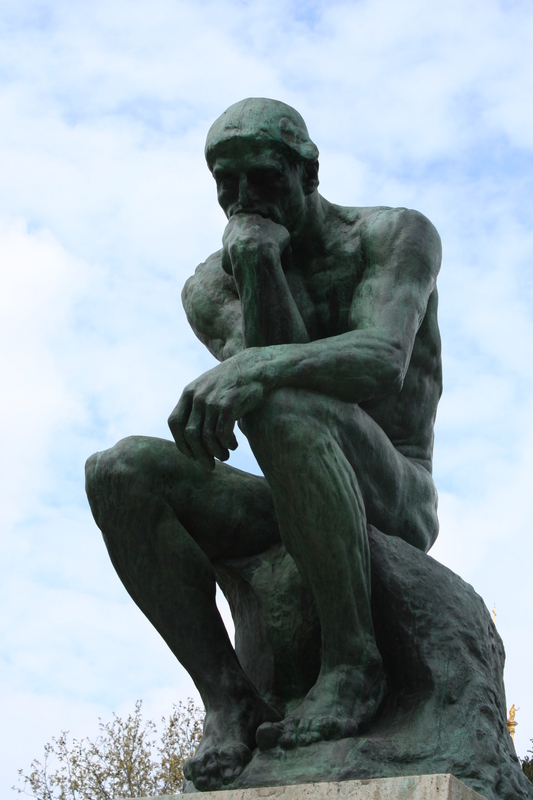 Many of Rodin’s best-known sculptures started as designs of figures for this composition, such as The Thinker, The Three Shades, and The Kiss, and were only later presented as separate and independent works. The Thinker (originally titled The Poet, after Dante) was to become one of the most well-known sculptures in the world. The original was a 27.5-inch (700 mm)-high bronze piece created between 1879 and 1889, designed for the Gates’ lintel, from which the figure would gaze down upon Hell. While The Thinker most obviously characterizes Dante, aspects of the Biblical Adam, the mythological Prometheus, and Rodin himself have been ascribed to him. Sculptural fragments to Rodin were autonomous works, and he considered them the essence of his artistic statement. His fragments took sculpture further from its traditional role of portraying likenesses and into a realm where forms existed for their own sake.Fragments, arms, hands and feet became a large portion of his output in later years. 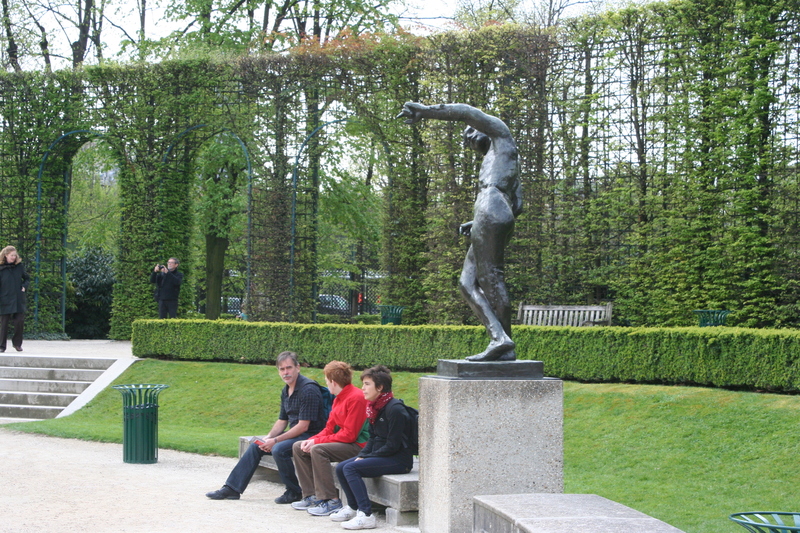 Instead of copying traditional academic postures, Rodin preferred his models to move naturally around his studio (despite their nakedness). The sculptor often made quick sketches in clay that were later fine-tuned, cast in plaster, and forged into bronze or carved in marble. 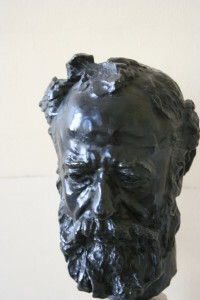 Rodin’s focus was on the handling of clay. After he completed his work in clay, he employed highly skilled assistants to re-sculpt his compositions at larger sizes (including any of his large-scale monuments such as The Thinker), to cast the clay compositions into plaster or bronze, and to carve his marbles. 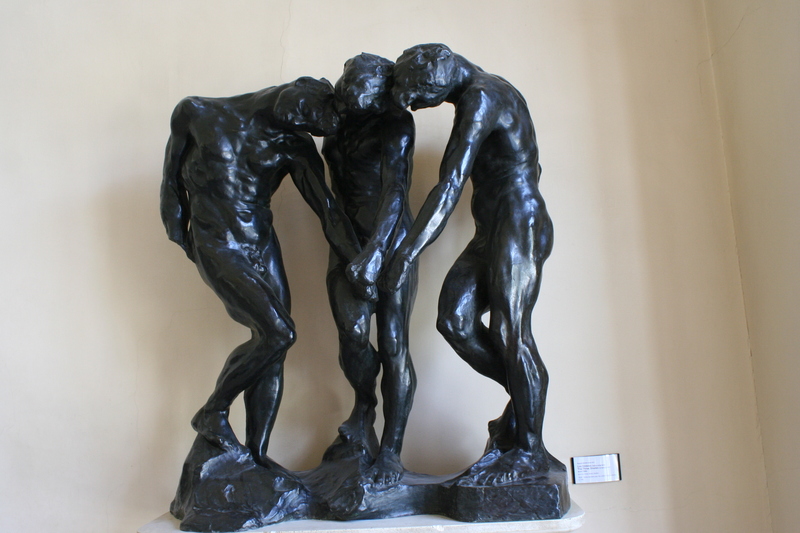 Rodin’s major innovation was to capitalize on such multi-staged processes of 19th century sculpture and their reliance on plaster casting. 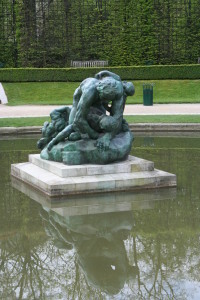 By 1900, Rodin’s artistic reputation was entrenched. 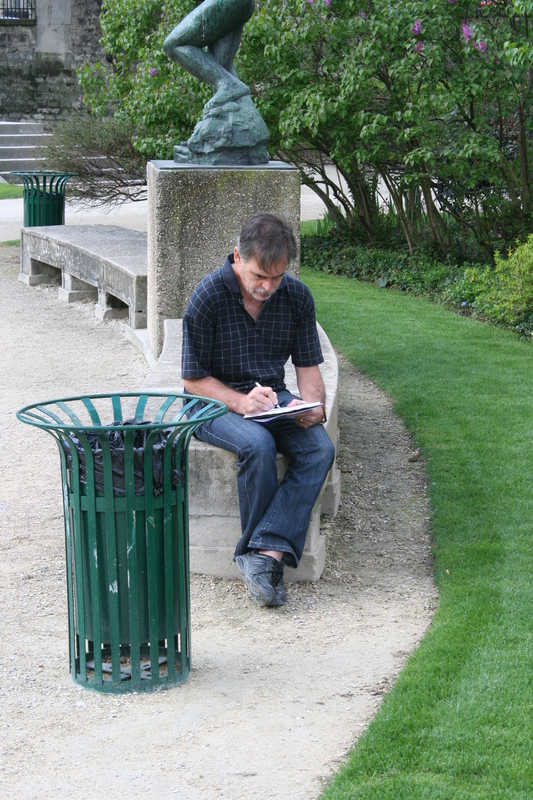 Gaining exposure from a pavilion of his artwork set up near the 1900 World’s Fair in Paris. Here he received requests to make busts of prominent people internationally, while his assistants at the atelier produced duplicates of his works. His income from portrait commissions alone totaled probably 200,000 francs a year. Rodin willed to the French state his studio and the right to make casts from his plasters. 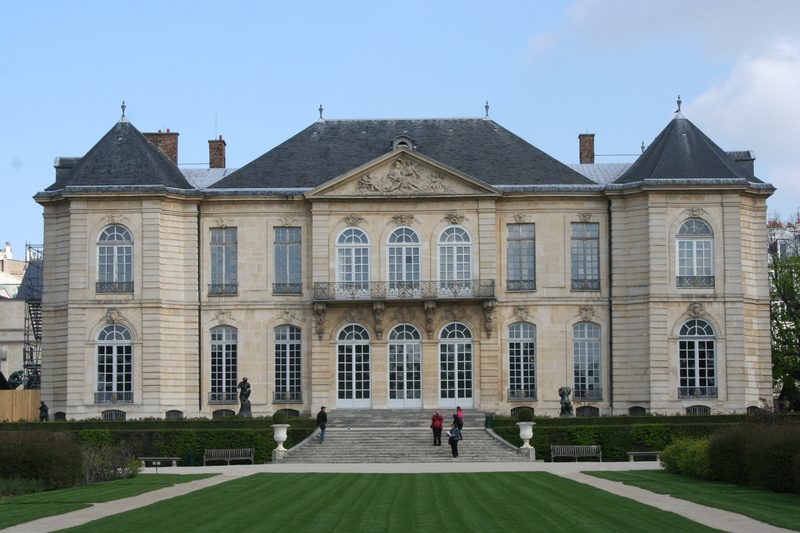 The Musée Rodin was founded in 1916 and opened in 1919 at the Hôtel Biron, where Rodin had lived, and it holds the largest Rodin collection, with more than 6,000 sculptures and 7,000 works on paper. 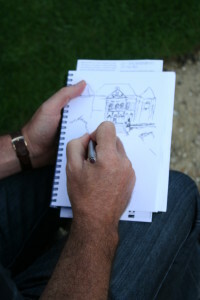 The house and formal gardens is a beautiful backdrop to his sculpture. 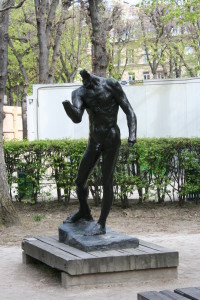 The sense of incompleteness of some of his sculpture, such as The Walking Man, and the use of anatomical parts, like his many studies of hands, influenced the increasingly abstract sculptural forms of the 20th century. His biggest role in art is that Rodin restored an ancient role of sculpture (to capture the physical and intellectual force of the human subject) and to free sculpture from the repetition of traditional patterns, encouraging greater experimentation in the 20th century. His popularity is due to emotion-laden representations and showing the beauty ordinary of men and women. A day in those gardens is like a holiday to your soul. How can I resist not taking out my journal and try to capture the essence of the place.